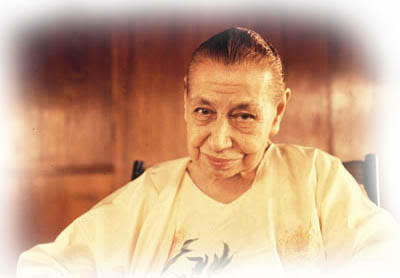 The Prayers and Meditations of the Mother, the Coarchitect of the Life Divine with Sri Aurobindo, hold out profound lessons in the spiritual science and practice of praying to elevate and integrate one’s self and consciousness. This spontaneously results in highly evolved practices in how to manage and lead better in organizational perspective and context. Prayers, in their purest form, essentially teach and train us into how to transmute our separative sense of I, Me and Mine or We, Us and Ours into that dimension of being-knowing-doing in a self-effacing state of love and compassion where we feel integrally one with (all in) the Supreme. It’s the interaction and interplay of the “I, Me and Mine” and the “We, Us and Ours” that is at the base of all individual and organizational sense of connectedness as well as conflicts. The “Prayers and Meditations” of the Mother written by her as part of her own early spiritual practice and published under the same title (also available online) are widely popular. They reveal an unmatched urgency, immediacy and integrity of purpose at connecting and integrating the self with the Supreme. These prayers and meditations now serve as a unique compendium for how to meditate, pray and practice to be truly spiritual and let this deep sense of spirituality pervade and connect all our life and actions into a single thread of divinity so that all life can grow into peace and harmony, love and compassion. Her prayers show us how to rise from a separative sense of ego embedded in a material body and placed in a set of relationships and circumstances and connect with the all pervading divine consciousness. They show us the way out from a sense of confinement in narrowness, negativities and resulting depression to emerge in higher and vaster spaces of consciousness which illuminate and enlighten our whole being and are home to pure love, light, knowledge and wisdom. When we point fingers at each other for errors it leads to controversies and conflicts. When we rationalize our positions despite errors involved it leads to debates. When we empathize with ourselves and others for errors it gives rise to positive dialogues. But when we are able to discern and identify the root cause of errors beyond egoistic frames where they take on concrete images and features of their own we are able to work out their real nature and rise as a whole beyond them. The Mother in her prayers and meditations helps us look deep within ourselves to enable us to identify and uproot the actual cause of errors in the course of our individual and collective progress. This is a great lesson in how to manage and lead better. But such an all inclusive and all compassionate vision for leadership may arise only when one sets out to synthesize one’s own self and consciousness. How can one manage and lead well if there are discordant notes within oneself? Can we have truly transforming practices in management and leadership if our managers and leaders don’t learn how to elevate and integrate their own consciousness in the light of their higher self? Prayers unite and synthesize the scattered threads of our self and consciousness and engineer it into a fine-tuned instrument to play a larger role to the best of our potential for a larger good. All our efforts at peace and harmony prove impotent if the call and action for peace and harmony rise from a deep impatience and perturbation in our own consciousness. It’s like treating a patient for an ailment injecting the same infection that’s the cause of the ailment. Thus prayers at their purest heights must be set free of all the preoccupations with the self of the selfish entity which sets out to pray for its own self-centered concerns. Isn’t it that source of love, life and light that enlivens all and infuses value in everything that matters in the ultimate run and to which a complete sense of surrender should grow within, without which prayers never rise with ultimate intensity and power? “It is Thou who livest in me, Thou alone; and why should I be preoccupied with myself and what might happen to me? “without Thee the sublime love which vivifies, coordinates, animates and gives warmth to all things would be a yet unawakened possibility. ” Without Thee all is inert, brute or inconscient. Thus performed properly prayers have the power to transform us into pure divine stuff and make us feel and be one with the Supreme. In pragmatic course of leadership and management we might miss the profound values of great import that the Mother’s prayers implicitly teach and inculcate in us. The selflessness and humility they build up in our basic nature and temperament have been recognized as great virtues for leadership. They not only promote tolerance for different perspectives but are a must for the intercultural settings in which global leadership operates today. It is only in such an all inclusive and all compassionate consciousness perspective that we can best address our global concerns and conflicts and harmonize the conflicting perspectives, viewpoints and energies into a larger global good. Clearly prayers can deeply inculcate empathy and compassion in us. Divine Love is like a profound ocean. Good will, empathy and compassion are the positive forces that lead our stream of consciousness to it. Studies in neuroscience are already recognizing the indispensable value of empathy and compassion in our management and leadership practices. As we grow and learn to pray the way the Mother does, it’s sure to create pathways for love and compassion in our inner and outer lives and greatly enrich the way we manage and lead. Prayers are like divine ragas which rise up most rhythmically and powerfully when the instrumentation of our self and consciousness is perfectly tuned with its divine origination. Best done in a state of pure surrender and selflessness as the Mother shows us. It’s only then that our energies may join together in fine orchestration to a higher goal. This is just a humble preamble to the supreme power of prayers that unfolds in the Prayers and Meditations of the Mother who aspires for nothing less than the Life Divine upon the earth and is its Coarchitect with Sri Aurobindo.